Marine-derived fungi Trichoderma genus are serving as a valuable resource for structurally novel natural products encompassing a variety of chemical substances and diverse pharmacological applications. So far, about 78 metabolites have been structurally documented from the species of marine Trichoderma genus and a large proportion of these metabolites exhibited therapeutic properties with potential application in drug discovery. 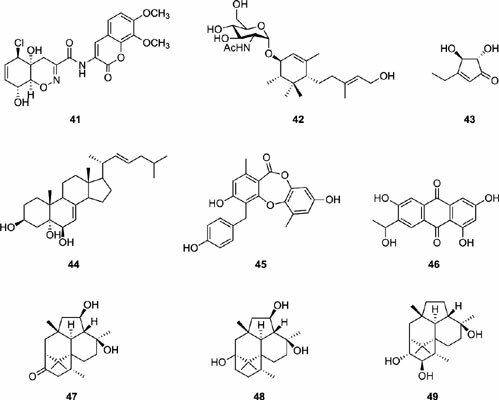 This mini-review focuses on the structures and bioactivities of these secondary metabolites from marine-derived Trichoderma species. Secondary metabolites, marine fungi, Trichoderma, bioactivity, Aspergillus, alkaloids.